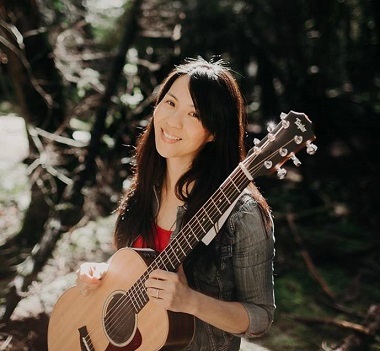 JUNO-nominated folk singer / children’s musician Ginalina will give a concert at Café Logos between noon and 1 pm. Café Logos is the welcoming face of the Canadian Bible Society’s newly imagined Vancouver presence. And the Grand Opening this Saturday (March 30, 9 am – 6 pm) will have the centrally located site (1207 Kingsway, between Fraser and Knight) buzzing with life. 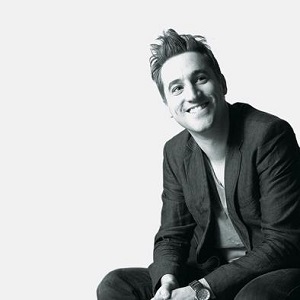 Live music with Covenant Award Winner Andrew Marcus and JUNO Award Nominee Ginalina, and other guest musicians. Great deals: 50% off on new comic book series, “Fear Not” and “Action Bible”; 75% off on Bibles, inspirational books, gifts and more! 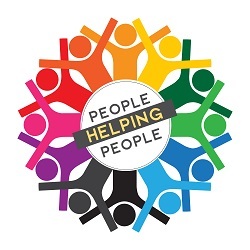 Cool raffle prizes: $150 gift certificate from Sense Luxury Spa, $100 gift certificate from Gotham Steakhouse and Bar, and $50 gift certificate from Café Logos. Also join us for the special opening ceremony at 4 pm. Go here for the full schedule. Kurt Thiele manages Café Logos. With him is Suzanne Roberts, who did the art work on the wall. The Bible Society has a long history in BC; they sent scriptures in several languages to miners during the Gold Rush of 1858 – 1861. But the closure and sale of its high profile headquarters at Fraser and Kingsway in 2016 has reduced the Bible Society’s visibility in BC. The new location has fewer books and Bibles. If you drop by, you will see Bibles, certainly, but what you will experience first is the inviting smell of coffee in Café Logos. Kurt Thiele is supervisor of the new Bible Centre / Café, which has been open in a quiet way since last fall. Thiele, who describes himself as “a bit of a coffee nerd,” points out with some enthusiasm that their supplier, Oughtred Coffee & Tea, based in Delta, won Roaster Magazine’s 2018 Roaster of the Year Award. Worship Central is just one of several worship-oriented events coming up over the next couple of weeks. While thousands will attend, many of the rest of us may be more affected than we realize. 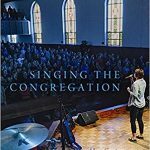 Of course, there have been other moments when congregational singing has connected people across geographical and cultural boundaries. . . .
What’s unique about this particular moment, I think, is the sheer scale of the phenomenon and the speed with which new songs make it to worshipers. Most contemporary worship music is produced in Anglophone centers – America, the UK, and Australia. But it has a truly global audience. If there are somewhere between 500 and 700 million evangelicals and Pentecostals in the world – and if even half of them are singing contemporary worship music, although I would guess the number is much higher – then you’re looking at nearly a third of a billion people for whom this music is the language of prayer and worship. And because of the social media and communications technologies we enjoy today, most of them gain access to it as soon as it’s produced. Worship Central is already sold out at the Centre for the Performing Arts (Westside Church) this weekend. The two-day event features Tim Hughes (Worship Central), Alex & Henry Seeley (The Belonging Co), Taya Gaukrodger (Hillsong United), Steffany Gretzinger (Bethel Music), Hunter Thompson (Bethel Music), Al Gordon (St John at Hackney), Darrell Johnson (Regent College) and the Worship Central team. Elevation Worship at Glad Tidings Church April 4 by the Hallelujah Here Below Tour with Cody Carnes. Bethel Music Victory Tour will be at Queen Elizabeth Theatre April 12, featuring special guest Tasha Cobbs-Leonard. Hillsong Y&F will lead an evening of worship at Abbotsford Pentecostal Assembly April 13, following up on the release of their III Live album. Starfield will be at Glad Tidings June 7, for their reunion tour. I’ve been encouraged by organizations like the Hymn Society that have done admirable work supporting women and people of color in worship leadership and expanding the repertoire of songs available to the church. My hope lies in a kind of new eclecticism that results from deep engagement between different communities and cultures. You could always hear the party raging from about two blocks away. 1634 E. Georgia was a run-down dump of a flophouse, a classic 1990s East Van rental that served as the resident band dwelling for Sister Lovers, a coulda-woulda-shoulda-been-huge indie pop group that channelled Big Star, Cheap Trick and the Raspberries rolled into one whacked out, dysfunctional, brilliantly drunken train wreck. 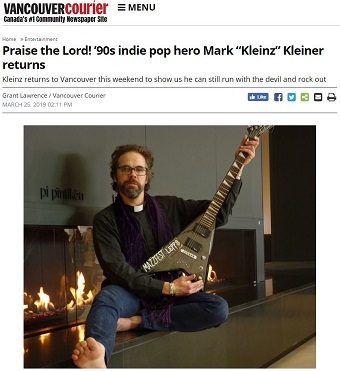 The lead singer of Sister Lovers was Mark “Kleinz” Kleiner, one of the all time great characters from the 1990s Vancouver music scene, who often served as the hilarious and wasted ringmaster of the house parties. . . . In the late ’90s, Kleinz looked poised to break out, this time with his glam-rock quartet Jungle. And yet, on the eve of their much-anticipated sophomore album, Kleinz infamously fled town. Fans and friends were stunned to find out that it was to study theology, which to many seemed like an extreme about face. But band members and close friends knew that Kleiner had been drifting towards the church for a few years. Both of Kleiner’s parents were ministers. . . . So Kleiner is now an ordained Lutheran minister himself, serving at an Anglican church in Saskatoon. He will preach at Spirit of Life Church on Sunday morning and then give a children’s concert in the early afternoon. Money raised from the concerts will be split between refugee ministries.